"The Yellows," like the blues, are an emotion, a state of mind or in the case of this video, a happening. 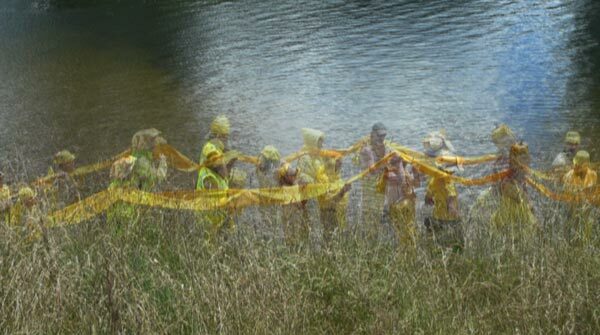 The Yellows took place during the GOmanawa event near Tauranga in 2015. Upstream of the confluence of the Wairoa + Omanawa rivers, Tauranga, Aotearoa | New Zealand, during the first GOmanawa event, 2014/15. Music: Let The Sun Shine In by Buster B Jones, performed + arranged by Micheal Young.